Schedule and manage your events quickly and easily either online or offline using Classter event management software for schools. Classter provides teachers the ability to create events online via their personal dashboard that are automatically uploaded to the central school calendar but also on user’s personal calendars. Each user, either student, parent, teacher or employee has his/her own personal calendar. In this way, all the events, meetings, actions, assignments and exams can be easily organized and managed by the users. Moreover, when an event is taking place, the system enables attendance registration ensuring the success of your event. Create easily your announcements and inform the users that you want. The announcements will be displayed either on the specific announcements page or as rolling titles in user’s dashboard. Another important feature is that Classter allows you to control admissions and registrations effectively, making candidate management an easy process. 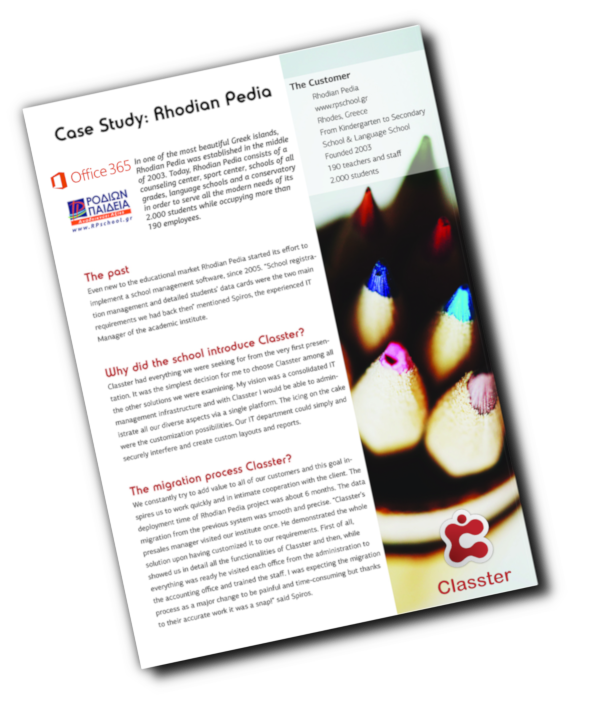 Manage your candidates, documentation, admission checklist, applications, and enrollments, while Classter CRM features also allow you to manage the relationship between your institution and the Alumni. Use the Alumni portal to establish a strong, successful and life-long communication network with your graduates. Classter provides you the opportunity to record bullying incidents accurately and efficiently. Keeping a detailed record of such events will promote effective prevention and bullying management. 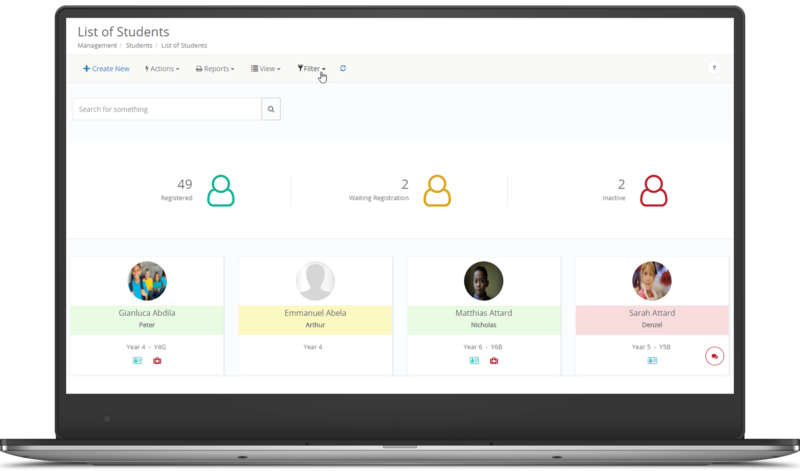 Furthermore, Classter offers teachers the ability for incidents and feedback management, allowing them to keep accurate records related to the various incidents and events that take place in the school environment. Classter can also provide you solution regarding documentation requests, such as certification official copies or any other official report, transcript or document using the portal features. In addition, the system provides you an online meetings booking system, allowing students, teachers, and parents to arrange their meeting, while setting various parameters, like for instance time restrictions. Inform your users in real-time and send mass messages via email or SMS. Furthermore, Classter provides you Counselling Office and Marketing tools that will enable you to support your students and also manage your promotional campaign.